According to the NIST Guide to Bluetooth Security, Near Field Communication (NFC) is the only secure way to pair Bluetooth push-to-talk over cellular (PoC) accessories with your mobile phone as it decreases the risk of eavesdropping and other MITM attacks. NFC is also the most simple pairing possible of a Bluetooth accessory with a phone, such as the pairing of a Bluetooth remote speaker microphone or a walkie talkie PTT accessory and a phone. NFC not only simplifies the single user experience but it’s also crucial in group environments so that when multiple users, such as a team of laborers bring their devices into pairing mode at the exact same time, they don’t need to worry about the confusing task of looking for the specific name of their Bluetooth device in their phone settings. NFC technology once enabled on the mobile phone allows the user to simply hold the phone and Bluetooth accessory (in pairing mode) together, typically a few inches or centimeters apart and a connection between them is established automatically. Smart PTT applications recognize this Bluetooth connection and automatically set up the device so no further settings need to be changed. Or sometimes, the user needs to accept the Bluetooth connection through a simple one button press. Aside from AINA’s selection of accessories which fully support NFC, there are few other Bluetooth accessories that have this capability. Another use case for NFC is routing. GPS location can be used to request an end user to stay on a specific route which is common in transportation or logistics industries internally for efficiency and safety reasons. Deviations from this route can then be automatically reported. This feature can be combined with NFC in which the phone is held close to tokens which are placed in specific locations to check off that the user has been there. 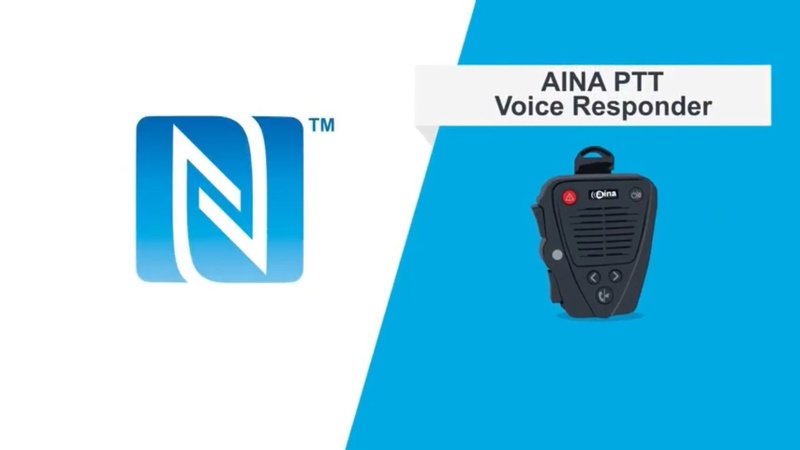 Get in touch if you have any questions about NFC and AINA’s Wireless PTT Accessories.